A breathless encounter at the Pirelli Stadium somehow finished 0-0 despite the best efforts of Burton and Barnsley to take all three points. 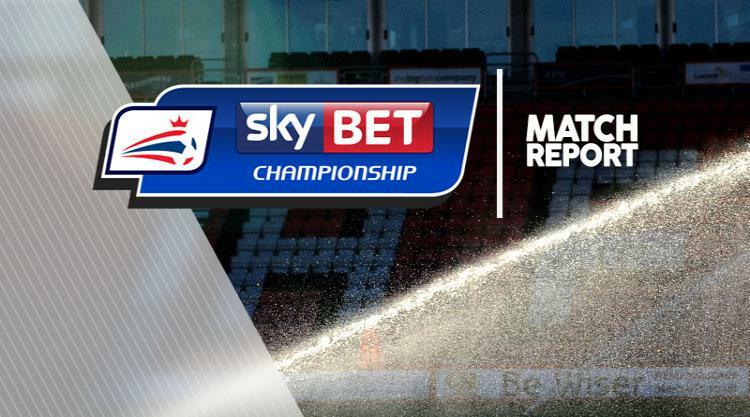 Barnsley shaded the first half of the Sky Bet Championship contest but the home side were better after the break, although a share of the spoils was about right on the balance of play. Barnsley were guilty of missing gilt-edged first half chances whilst Barnsley's Adam Davies had one of those days that goalkeepers dream about with several good saves - particularly in the second half. The two sides were renewing acquaintances for the first time since they gained promotion at the end of last season. The two encounters in League One only produced a solitary goal between them and the two evenly matched sides were at it again on Saturday. Chances came and went and Albion were doubtless left wondering how they had failed to break their duck against their South Yorkshire rivals, the Brewers having not scored now in four previous matches with the side from Oakwell. A high tempo affair saw Barnsley start with an early chance that was spurned by Adam Armstrong, the Newcastle loanee curling an effort just too high after just two minutes. Fellow loanee Ryan Kent also went close for the visitors in the first period with a shot from the edge of the box that curled and dipped just wide as Albion momentarily switched off after an excellent headed clearance from John Brayford. Albion, who lost Jamie Ward to injury within the first 15 minutes, pushed Lucas Akins forward to support former Tykes striker Chris O'Grady and the pair combined well midway through the first period - only for Barnsley keeper Adam Davies to deny O'Grady with a good save low to his left. Burton started the second half strongly but Davies produced an even better save to deny O'Grady again, before substitute Tom Flanagan - racing in at the back post - wastefully failed to hit the target from close range. Davies then produced a double save to deny Flanagan and O'Grady as the home side ramped up the pressure on the hour, before Lee Williamson drove a low shot straight at the Tykes keeper. Albion continued to press in the closing stages and Davies had the last word with a point-blank stop to deny substitute Stuart Beavon at the near post in added time.